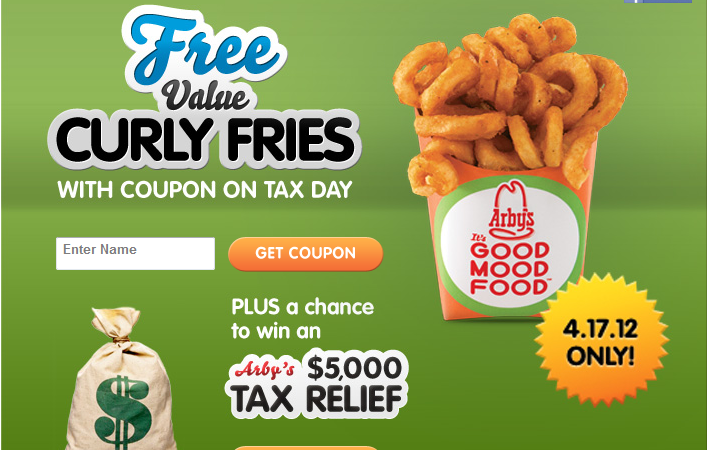 This tax season, Arby's is going to give one lucky person $5,000 in tax relief. 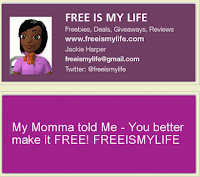 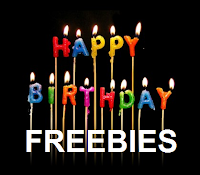 And that’s not all – Arby’s will also reward consumers across the nation for paying their taxes and surviving another tax season by offering everyone FREE Value Curly Fries on Tax Day, April 17, 2012. 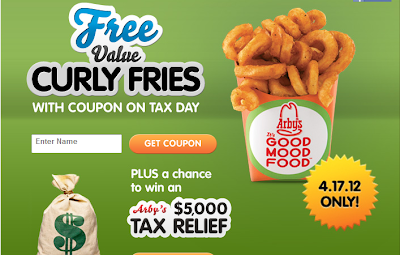 For a chance to win $5,000 and to receive a FREE value size of Arby’s delicious Curly Fries, visit the Arby’s Facebook page to print off the special coupon and bring it to any Arby’s location during regular business hours on Tuesday, April 17 for their FREE Value Curly Fries, while supplies last.